Why Should You Keep in Mind Class Size? A smaller class size allows the teacher to go to each student and make sure that they understand the topic being discussed. And if they need help, the teacher is able to personalize the education to meet the needs of the child. This is because every little one learns in a unique own way and at a unique pace. With a larger class size, the teacher will not have the time or the means to go to each child and help them. A smaller class size in a center providing childcare in Bronx, New York will mean more class activities and programs, such as field trips. This is because not only is it more affordable but a smaller class is much more manageable. This means your little one will be able to have a richer educational experience. Larger classes will not be able to go on as many trips and do as many activities because of the logistical problems that come from transporting many children and keeping them safe. Another reason why you will want to consider smaller classes is that it can help your children feel more confident in class. This is because with fewer students, they will feel more comfortable and they will even have closer friendships with everyone in the class. This means they will be more likely to answer questions, ask questions, and participate in class. With a larger class size, your child may feel shy to participate because there are not only more people in the class but they will not know them as well. 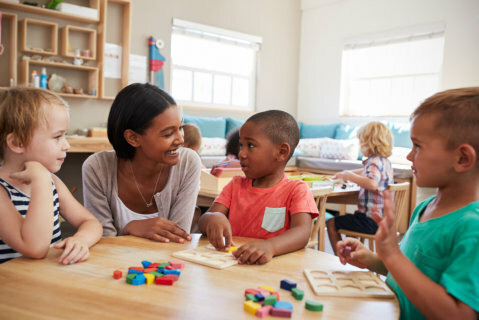 Those are just a few of the many reasons why it is so important to consider class size when you are looking for a head start Pre-K class for your little one. If you would like to find out more about finding a good school for your child, please feel free to get in touch with Sharon Baptist Head Start for more information today. This entry was posted in Childhood Education and tagged best education, class size, Preschool. Bookmark the permalink.